The new generation of light-paramotors is born! 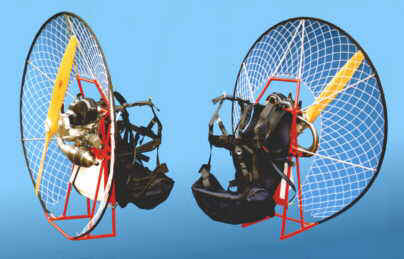 Since the propeller does not turn at idle, a simpler and lighter cage can be used. 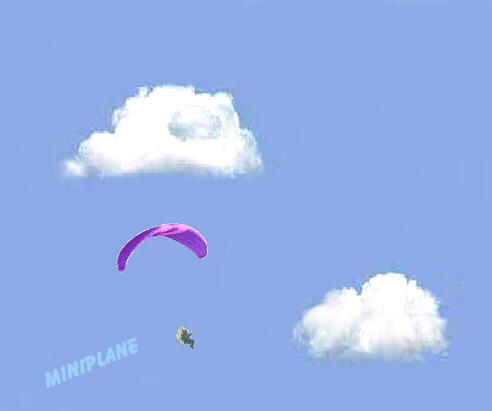 our New system PSF, (no high or low connections) stabilizes the Paraglider, suppresses the gyroscopic effect of the motor and lets you fly "Actively"
provides greater safety in mishaps and a stable position during take-off, flight and landing. Starts from the front and not the side. Hand moves away from the propeller and the other hand and your body holds the motor from moving. 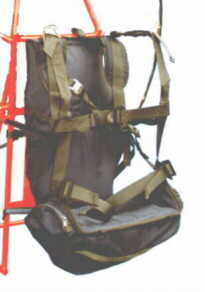 Starting a paramotor from the side has caused many accidents. When a motor does not start quickly, a common reaction is to give it more gas. When it does start it shoots forward since you cannot stop it from the side. NOTE : since the end of 1998 we stop the devlopment of electric starter because the TOP 80 is VERY easy to start with manual starter. More power, less noise, reliable, constant power, less oil in mixture. Light and simple, fits in your hand comfortably. Weight only 114 grams ! Easy to set for your size also with winter gloves. Is not possible to push the throttle control accidentally and suddenly accelerate the motor. This is a significant safety factor. 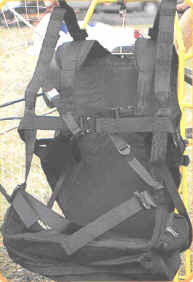 Diaphragm-type; allows the engine to work in any position; petrol is not spilled, either during flight or transport. Easy to adjust. 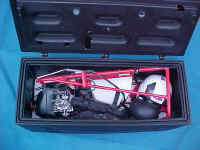 On request you can have a basin carburetor and a suction. 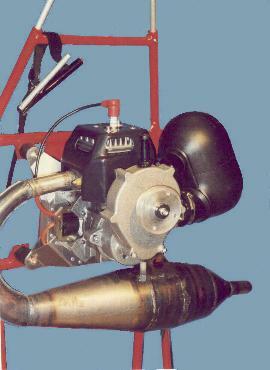 It uses less fuel, optimized for competitions.